Dry Aged Beef has been around for centuries and until the middle part of the 20th century, dry aging was the main aging process for beef. 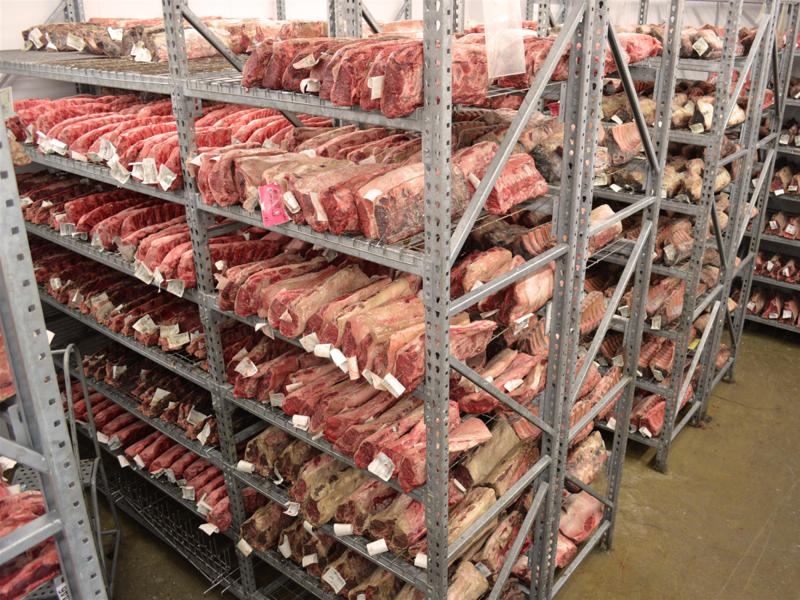 Dry Aging beef is simply the process of laying out a piece of beef in a humidity and temperature controlled environment. Along with the temperature and humidity control, there is a large amount of air circulation that needs to be taken into effect. At Meats by Linz, use high we velocity fans for this. By closely monitoring the humidity, temperature, and air flow in addition to keeping track of the amount of days or weeks a piece of meat is aged, we are able to control the decomposition of the natural enzymes and connective tissues within the meat itself which in turn makes the meat more tender and enhances the flavor. The dry aging process gives it a more intense flavor profile and adds to the tenderness, but also shrinks the piece of beef due to evaporation of water inside the muscle tissue. Dry Aged Beef from Meats by Linz is all about customer preference. Some of the beef that we dry age has a light age of 3 weeks, and some customers ask that we dry age their product for up to 60 days. The longer the age, the greater evaporation that takes place which results in a greater change in taste, texture, and yield. If you are at one of the many restaurants, steakhouses, country clubs, or casinos that Meats by Linz supplies, ask your server if they have any Meats by Linz Dry Aged Beef on the menu! It’s not for everyone but for those who do have the pallet for it, it is sure to impress! Meats by Linz primarily only Dry Ages using USDA Prime and Upper 2/3rds USDA Choice product, with some exceptions. These two grades of beef perform very well when dry aged. 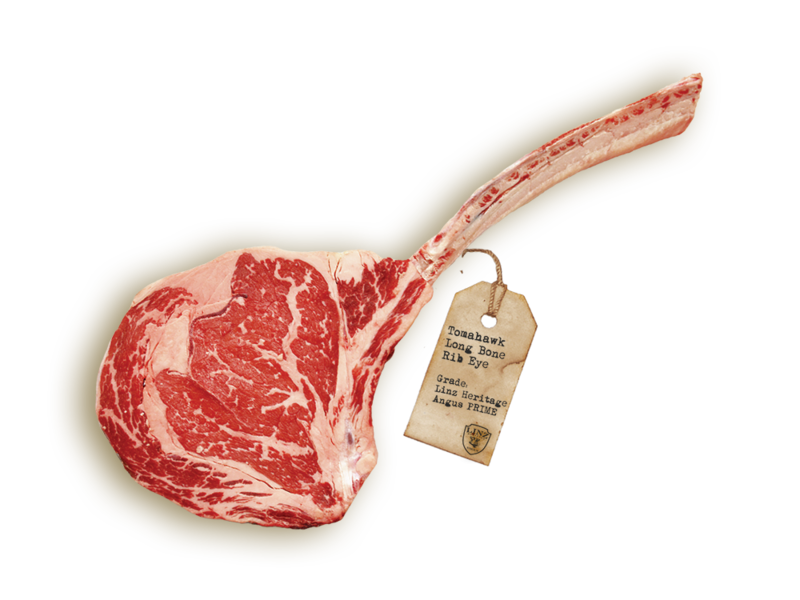 As the muscle tissue shrinks, the fat to muscle ratio is increased, which adds to the flavor profile of the meat. Since these two grades are the most abundant with marbling (fat within the muscle tissue) it creates the best quality product after dry aging. Dry Aged Linz Heritage Angus Reserve Product is nothing short of spectacular. This breed specific product can be found in fine dining establishments around the world, from Chicago to Hong Kong. More information can be attained in our Programs section about the Linz Heritage Angus program and what requirements are set in place for LHA Reserve product. Here is where you will find steakhouses set themselves apart from competitors. 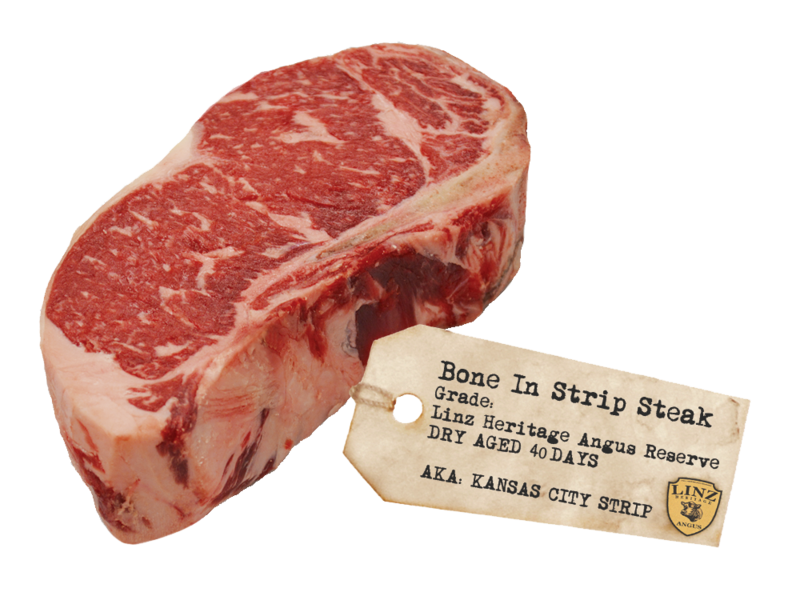 Only 2% of cattle are graded as USDA Prime Beef at harvest. 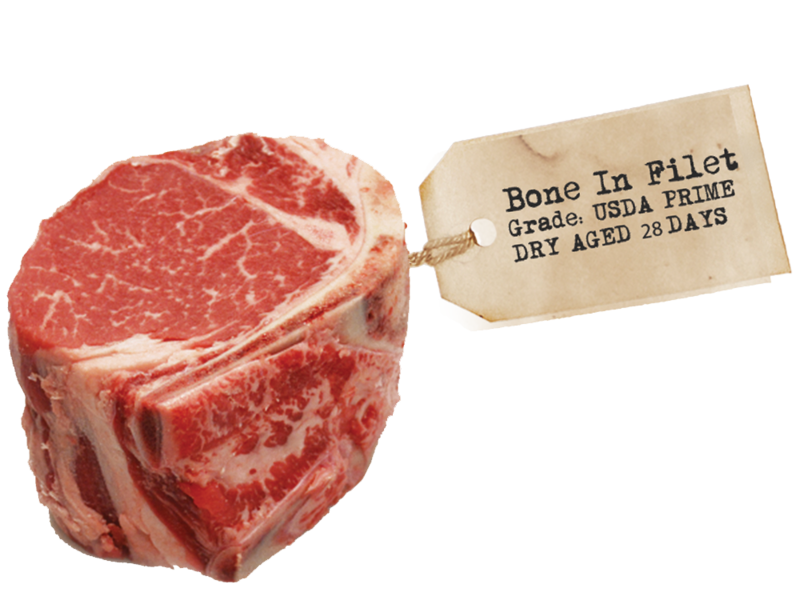 USDA Prime has the most abundant marbling out of all the USDA grades which makes it the most tender and flavorful before even being dry aged. Add in the dry aging process and it's a new ball game. The flavor, tenderness, and succulence of a USDA Prime Dry Aged piece of beef can only be matched by our exclusive line of Linz Heritage Angus USDA Prime product. So what is wet aging? Wet aging beef is a process that separates premier meat purveyor from the rest. Wet aging is storing whole pieces of vacuum sealed beef in a temperature-controlled cooler to lock in and enhance flavor. 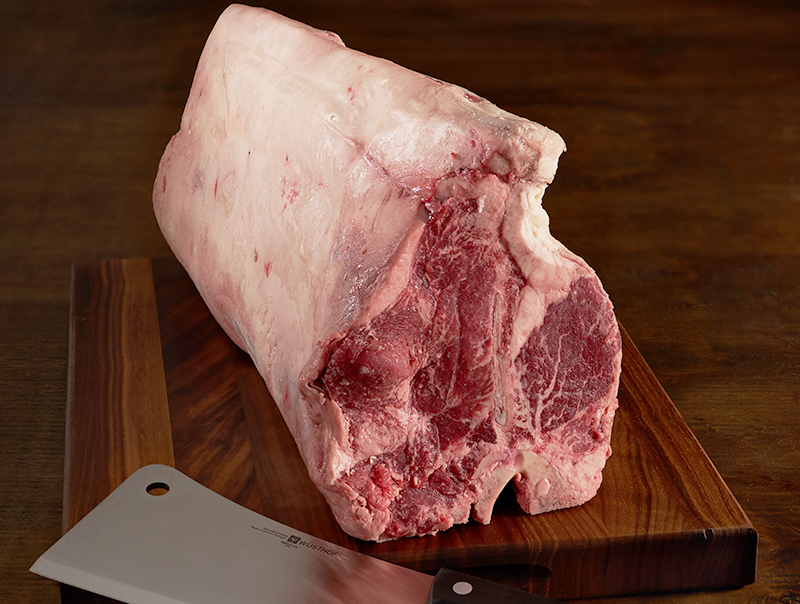 This allows the meat’s enzymes to break down in its own natural juices, resulting in superior flavor and tenderness. To safely wet age beef, be sure you're working with a whole subprimal that is in its original vacuum seal. Your refrigerator at home is NOT a safe alternate to a meat cooler. Be sure to research safe storage temperatures for wet aging before attempting at home. Meats by Linz will wet age product to fit our customer's exact specs to ensure that the flavor profile meets their expectations.